Balance life between work and play. Located in the Edgewater/Sloan’s Lake Neighborhoods, Harlan Row homeowners experience the benefits of an urban location AND the outdoors at Sloan's Lake and Walker Branch Parks. Enjoy spacious floor plans located in a thriving neighborhood close to downtown Denver with easy access to public transportation, as well as countless local restaurants and coffee shops. Your home is a reflection of who you are. Not just from the furniture & art on the walls, but also in the finishes and fixtures throughout. When you buy at Harlan Row you meet 1-on-1 at our custom design center. We offer you thousands of potential combinations, giving your home YOUR unique character. PICK A VIEW: SUNRISE OR SUNSET? You won't have to choose between the two when taking in the widespread views from your own private rooftop deck. 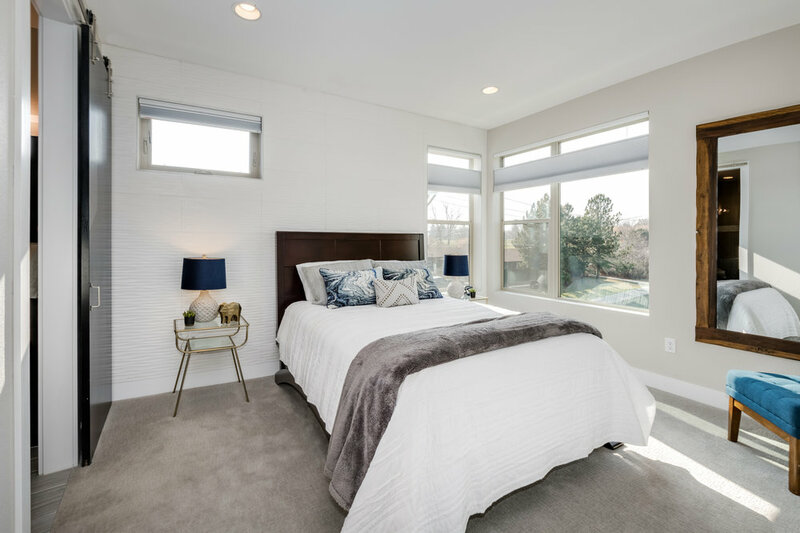 From downtown, Sloan Lake and the Rocky Mountains, Harlan Row Townhomes offers some of the best views in all of Edgewater and Sloan’s lake neighborhoods. Located next to Walker-Branch Park, Harlan Row offers unobstructed views of Sloan’s Lake and Downtown Denver to the east. 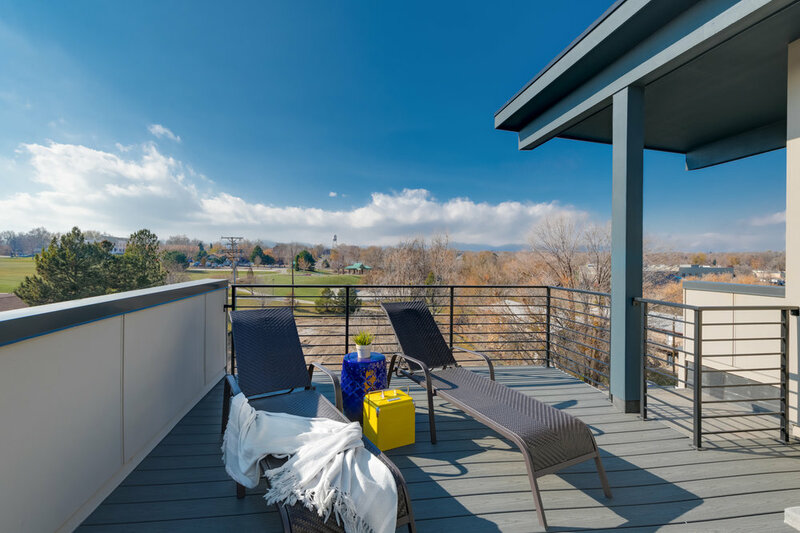 Looking west, you’ll enjoy mountain views and Colorado sunsets from your own private rooftop.